Over the next couple of weeks I would like to take some time researching and writing about everything you need to know about car seat safety. I remember when I became a mother for the first time and had no clue about anything related to babies, choosing a seat, installing it and replacing/changing it as my son got older was the one of the most confusing and expensive things. There is nothing more precious than a child's safety when it comes to travelling in a vehicle. Yet, collisions are the main cause of death for Canadian children! So, I would like to with you some safety tips I've learned over the past several years. 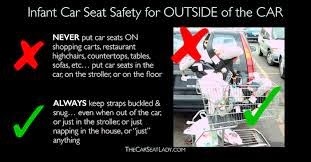 PLEASE consider safety rules, laws and regulations, and the tips below when using and installing a car seat for your child - I cannot stress this point hard enough! 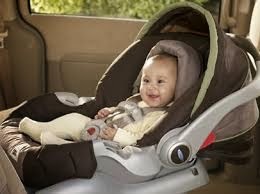 The Ontario Ministry of Transportation provides valuable safety tips and instructions for installing child car seats: http://www.mto.gov.on.ca/english/safety/carseat/tips.shtml. Below are more tips from Busy Mama you will want to consider. Rule #1 - Use the right car seat for the child's height, weight and development. Every child car seat and booster seat sold in Canada has an expiry or useful life date on it, and should not be used if it has passed the date. Also, all car seats used in Canada must meet the Canadian Motor Vehicle Safety Standards and displays the National Safety Mark; therefore, you cannot use a car seat bought outside of Canada. Rule # 2 - Infant car seat use - Ontario's Highway Traffic Act requires children to use a rear-facing car seat until the child wights at least 9 kg or 20 lbs. Most pediatricians recommend using a rear-facing car seat until the child is 2 years old. It is best to keep your child in a rear-facing car seat until they reach the manufacturer's weight or height limits. Rule #3 - Toddler car seat use - Ontario's Highway Traffic Act requires children to use a forward-facing child car seat when they weigh from 9 kg to 18 kg (20-40 lbs). It is best to keep your child in a forward-facing car seat until they reach the manufacturer's weight and height limits. Rule #4 - Preschool to 8 years old - Ontario's Highway Traffic Act requires children to use a booster seat when they weigh 18 kg to 36 kg (40-80 lbs), are less than 145 cm (4 feet 9 inches) tall, and are under the age of 8. 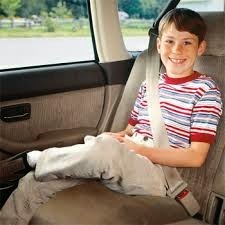 It is best to keep your child in a booster seat until they reach the manufacturer's weight and height limits. 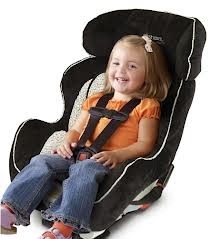 Rule #6 - Using UAS (Universal Anchorage System) or the LATCH (Lower Anchors and Tethers for Children) - About four years ago, you were able to go to any fire station in the GTA and ask to have your child car seat installed. Unfortunately, this service is no longer available. However, there are child car seat clinics you can attend free of charge in Canada - click on this link https://www.tc.gc.ca/eng/motorvehiclesafety/safedrivers-childsafety-seat-clinics-1058.htm#on for detailed information specific to your area. "Canadian vehicles manufactured on or after September 1, 2002 come with lower universal anchorage points." This helpful video will explain how to attach and adjust a child seat to the child tether latch system in your vehicle with easy to follow, step-by-step instructions. Rule #8 - There is a reason why they call it a CHEST clip! - In case of an accident you want to make sure that the harness straps are properly positioned so that they can serve their purpose, otherwise, the injuries can be brutal. The chest clip should be placed between the middle to the upper chest area. A good trick is to align it with your child's armpits, and you're good to go. Rule #10 - Car seat use after an accident - what you need to know - Did you know that you need to replace your car seat after a vehicle accident? 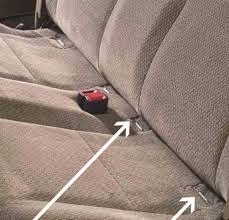 After a collision the seat should be replaced whether it was occupied or not. It is impossible to determine if the seat has sustained any damage or not. Most insurance companies will compensate you for replacing the car seat. And, if the above didn't convince you, PLEASE READ THIS ARTICLE!!! Below is a helpful link if you would like to have your child car seat installed by a professional for a fee, and additional information related to child car seat safety. 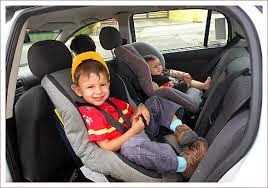 Sources: Ontario Ministry of Transportation - http://www.mto.gov.on.ca/english/safety/carseat/choose.shtml#tips and all the link sources mentioned above.